Discover the chic Emblem Shade for contemporary sign light applications. This commercial gooseneck fixture features a 7" Emblem Shade and an arching arm. For easy wall mount, a sturdy back plate comes ready for installation to any standard 4" round or octagonal J-box. All parts are made from commercial-grade aluminum with a rust resistant powder coated finish. Choose from more than 20 colors to match a design scheme (black, white, galvanized steel and dark green available at standard pricing). 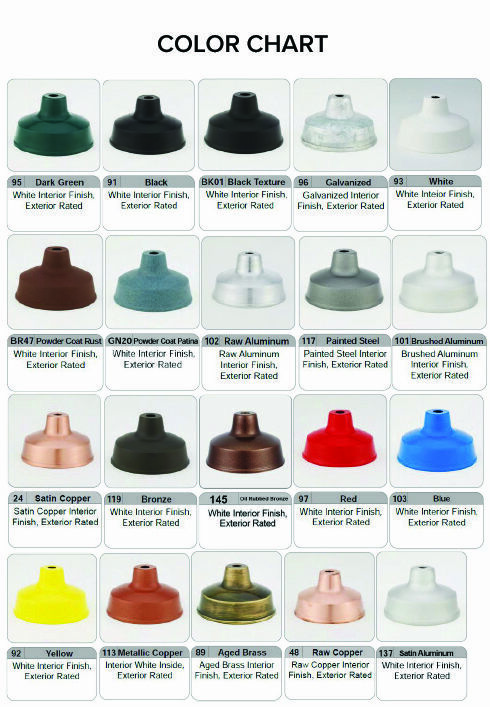 Order incandescent gooseneck lighting fixtures online or call for alternative lamping options. Sign Bracket Store can manufacture LED, high-intensity discharge (HID) and compact fluorescent (CF) gooseneck lights in addition to standard incandescent. Please note upgraded lamping may require a different type of ballast; additional charges apply.